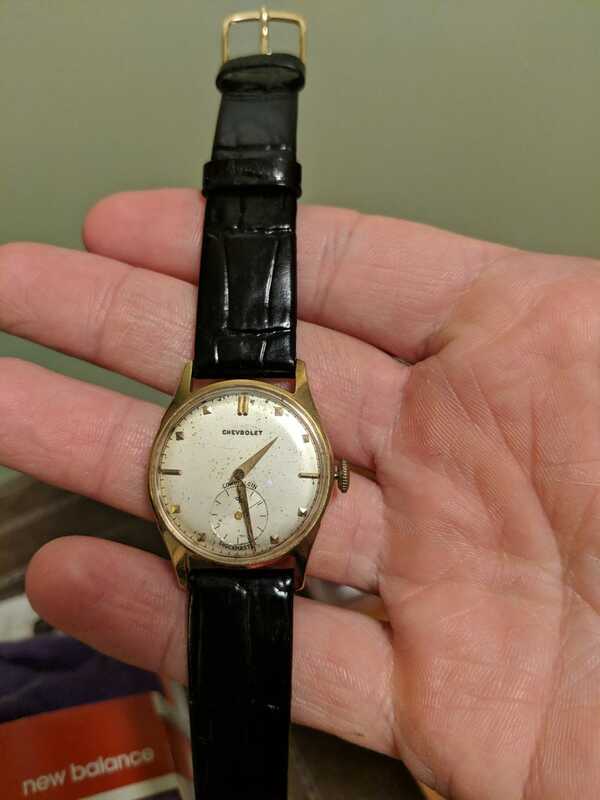 This is my grandfather’s watch. He immigrated here from Poland. He came here in the Ellis island era, but not through the island itself. Taught himself English, got a job at the assembly plant in Tarrytown, NY. Raised a family. Retired from GM with a pension and a watch. My mom got employee pricing on GM cars. Maybe still does. But I have zero interest in a Chevy. None. Thought wouldn’t occur to me. My parents were half GM, half Subaru. Then the GM products started getting shittier and shittier. An Oldsmobile intrigue with a crap transmission. A Sunfire for my sister. An incredibly crappy Grand am. Before those a thoroughly mediocre regal. The Grand am was it. No more GM products for my parents. My sister has a traverse. Our pilot is light years better. I grew up an enthusiast, and they cut the Camaro and trans am. By all rights I should be die hard GM. But when my wife was looking at rentals and asked “Malibu?” my initial reaction is “yuk”. I know that’s unfair. I know they are much better. But they have so much negative emotional equity with my generation, whose parents dealt with such crap offerings. If they can’t win me over, what chance did they ever have?